If you have ever thought about diving, you are definitely in the right place. Nautica Hvar Diving Center offers various programmes for the beginners of different ages. The majority of programmes are dedicated to adults and teenagers over 10 years old, but there is also a possibility for younger kids to try diving – check the details of the Nemo programme below. 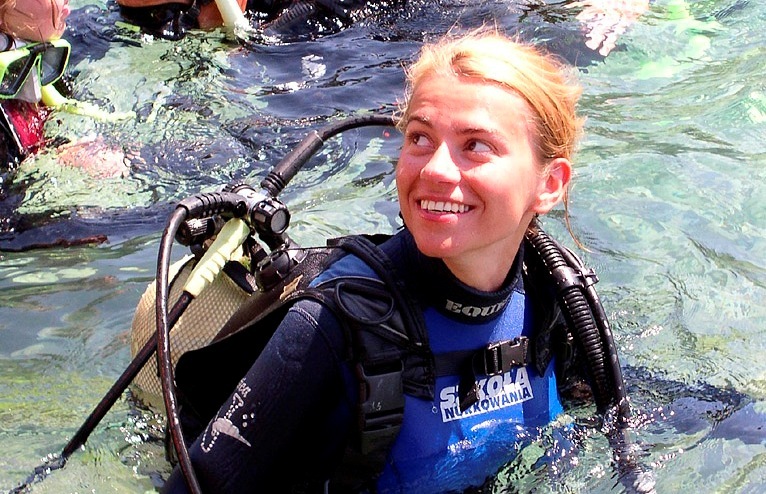 If you are over 10, you can start your scuba diving adventure in a few different ways. There are two programmes – intro diving and discover scuba diving – dedicated to people, who are not sure, if they would fall in love with the underwater world. Basically, these are one-day adventures, which aim is not to learn how to become an independent diver, but to get acquainted with the marine environment. Not enough? You can also start your diving adventure taking a course – a lasting 3-5 days open water diver course, which ends up with certification to 18 m or scuba diver course, if you are short on time. 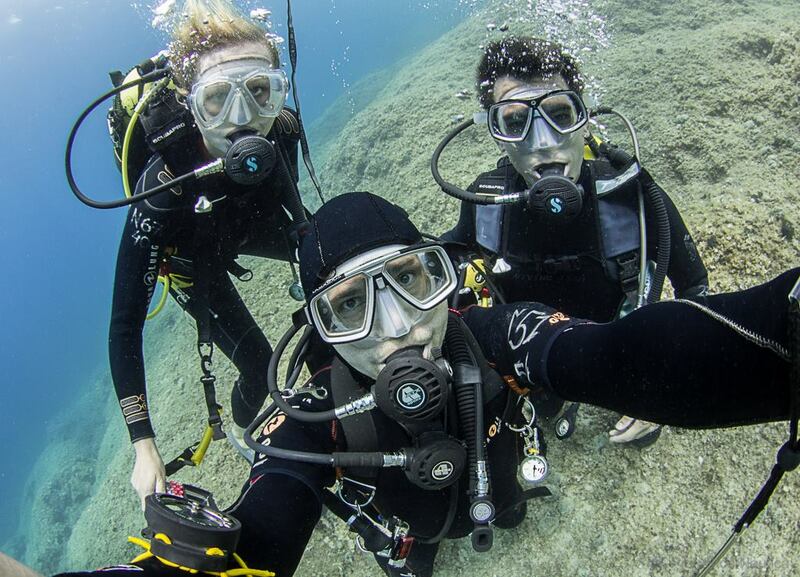 And if you are a certified diver, please check our offer of diving holidays and advanced courses. The Nemo programme is addressed to children under the age of 10, which limits them before joining the diving courses. The age limit results from the elimination of the possible influence of pressure changes on the young, developing organism. As a result, global diving organizations have introduced a restriction, according to which the absolute maximum depth at which children aged 8-9 can dive is 4 m. This depth is often even more limited by instructors leading the programmes, adapting it individually to kids. An individual approach is also important for younger children, for whom various games are organized on and just below the surface of the water. The Nemo programme consists of a theoretical lesson that lasts less than one hour, during which the youngest diving adepts become acquainted with diving equipment and learn the techniques of breathing under the water and equalizing the pressure. In this part, the participants of the programme also learn about the marine organisms that they will have the chance to meet under the water – they learn how to find them and behave in their presence. After the theoretical part, a 20-30 minute dive takes place. Diving can be organized from the shore in front of the diving center or from the boat. The second variant is particularly interesting for diving parents, who want to take their children with them to the boat – in this case the presence of parents on the boat is absolutely required. Before joining the program, the participants are required to complete a medical statement. While diving under the guidance of an experienced guide is a safe form of activity, there are contraindications to diving, which include: asthma, lung diseases, epilepsy, diabetes, heart problems, hypertension and problems with equalizing the pressure. In the event of suffering from any of the aforementioned complaints, a medical certificate should be submitted to allow diving. The Intro diving programme is dedicated to people over the age of 10, who have never tried scuba diving with the equipment. The aim of the programme is not to learn diving, but to see the beauty of the underwater world – enter the silence zone and experience the state of weightlessness. The program consists of a theoretical part lasting for about half an hour, during which the participants get acquainted with the diving equipment and acquire basic knowledge about the aquatic environment and behavior in the water. Then there is diving. Participants dive under the watchful eye of experienced guides, spending under the water at least 20 minutes and immersing themselves to a depth of maximum 6 meters. Diving can take place from the shore in front of the diving center or from a boat on one of the numerous interesting dive sites around the island of Hvar. While sailing, participants can additionally admire the island from the sea and have additional time for snorkelling and sunbathing. The Discover Sbuba Diving programme is dedicated to people over the age of 10, who have never tried scuba diving with the equipment. The aim of the programme is to see the beauty of the underwater world – enter the silence zone and experience the state of weightlessness as well as to learn basic diving techniques, including keeping neutral buoyancy and underwater communication signals. The program consists of a theoretical part lasting for about two hours, during which the participants get acquainted with the diving equipment and acquire basic knowledge about the aquatic environment and behavior in the water. They also learn how to reach and keep neutral buoyancy, how to communicate under the water and how to solve small problems, which may occur during the dive. Then there is diving. Participants dive under the watchful eye of experienced guides, spending under the water at least 30 minutes and immersing themselves to a depth of maximum 6 meters during the first dive and 12 m during the second dive. Diving can take place from the shore in front of the diving center or from a boat on one of the numerous interesting dive sites around the island of Hvar. During the second, deeper, dive from the boat the participants of the programme have a chance to see yellow sea fans growing on the vertical walls or swim between giant stones. While sailing, participants can additionally admire the island from the sea and have additional time for snorkelling and sunbathing. The basic diving course – Open Water Diver – is a programme for people who have never tried diving or did one or more intro dives in the past and would like to get a recognized in the world diving certificate (PADI or SSI). The course is suitable to anyone who is at least 10 years old and wants to discover the beauty of the underwater world. After completing the course the divers get certified to the maximum depth of 18 m. Teenagers under 15 years old get the Junior Open Water Diver certification authorizing them to dive to the maximum depth of 12 or 18 m, depending on the dive buddies (diving to the depth of 18 m is possible with parents and professional divers only). The course lasts for 3-5 days and consists of a theoretical part, during which participants learn about diving equipment and acquire basic knowledge of physics, physiology and diving medicine. The trainees also learn how to plan dives, and the knowledge gained on the surface is transformed into practice during nine sessions in the water. The first five dives are held in confined water and mainly consist of different exercises (dives take place in front of the diving center). During these exercises, diving adepts learn how to achieve and maintain neutral buoyancy, acquire basic skills useful during tourist dives, such as cleaning the regulator from the water and learn how to react in the emergency situations. The next four classes are diving in the so-called open waters. Here, more accent is placed on admiring the underwater world and using the acquired theoretical and practical knowledge during diving. The course ends with the exam after which every certified diver can dive with a buddy – instructor care is not required – that is why it is so important to learn self-sufficiency, including in the planning of dives. 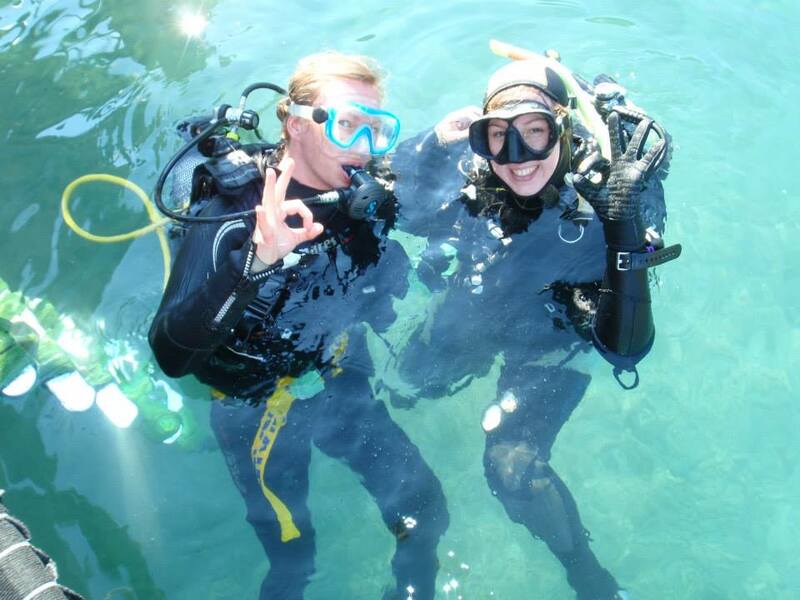 Scuba Diver course is a shorter version of the Open Water Diver course. This is a PADI or SSI programme dedicated for people, who want to start a full diving adventure, but are short on time. The course lasts for 2-3 days and ends with a worldwide recognizable certification to dive to maximum depth of 12 m with the professional diver only. The course is suitable to anyone who is at least 10 years old and wants to discover the beauty of the underwater world. 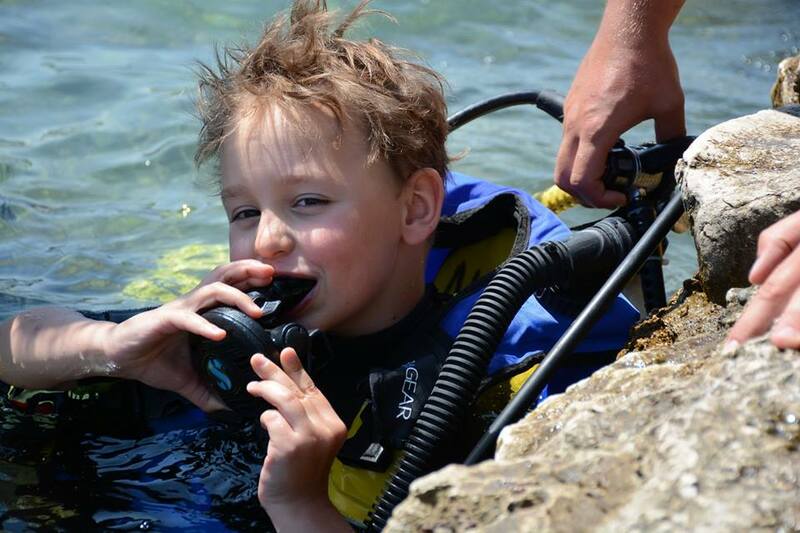 Teenagers under 15 years old get the Junior Scuba Diver certification. The structure of the Scuba Diver course is more or less the same as the Open Water Diver course. What’s the difference than? It might be summed up that the Scuba Diver is as a halfway to the Open Water Diver. The course consist of a theoretical part, confined water sessions (held in front of the diving center) and open water dives. As during the Open Water Diver course there are 5 confined water sessions and 4 open water dives, in here there are respectively 3 sessions and 2 dives. What is important, once you have your Scuba Diver certification card it is easy to upgrade to the full Open Water Diver certification by completing the second half the course anywhere in the world.